Marine life is increasingly suffering from man-made noise pollution, a situtation that is set to get worse in the years to come with the growth of offshore industry. Mammals, reptiles, fish and invertebrates living in the ocean are affected at various levels by human-generated noise which disturbs their ability to communicate and conduct normal activities, such as reproduction. Now, a French scientist has developed the equivalent of Google Earth underwater – a network which allows any web user to listen in and surf the sea floor. A bio-acoustics lab at the Technical University of Catalonia near Barcelona has launched a research programme entitled LIDO, which stands for ‘Listen to the Deep Ocean Environment’. The researchers’ aim is to develop techniques for monitoring marine sounds and assess the influence of artificial noise on marine organisms and ecosystems. They receive acoustic signals from underwater sensors all around the world. The sound is then identified, to find out whether it is natural or generated by humans. The man behind this project is French scientist Michel André. “We use underwater microphones, that are called hydrophones, which allow us to capture sounds. Once we have captured these sounds, they are analysed in real time through a circuit which tells us whether they come from a cetacean, or whether they come from vessels, to help us understand the interaction between artificial sound and natural sound,” explained André, who is director of the Bio-acoustics Applications Lab at the Technical University of Catalonia. The hydrophones can be placed at depths of up to 3,000 metres. The data is either transmitted back to shore via fibreoptic cables or by radio from moored transmitter stations. 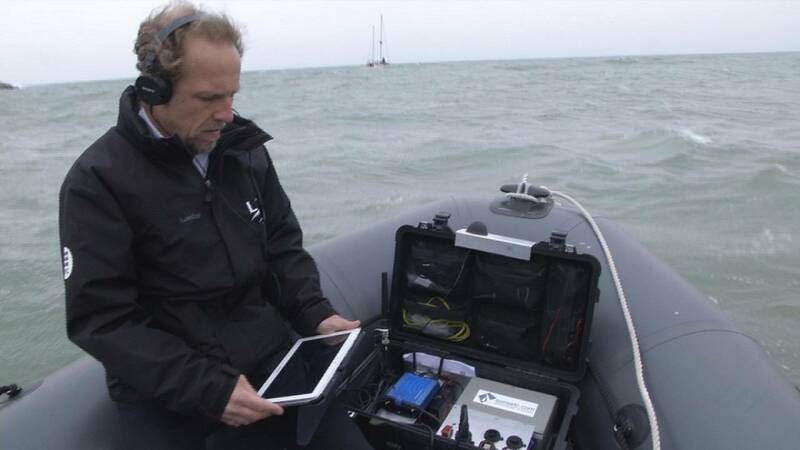 The devices provide valuable information from previously unexplored parts of the ocean, available in real time via internet, giving researchers a global map of ocean noise. “It’s a global network. It started in 2002 thanks to the Rolex Awards for Enterprise which we were awarded to avoid collisions between large cetaceans and vessels. As you can see on this map, all these dots indicate the locations of our different observatories. The sea is never silent,” André said. Initially aimed at avoiding collisions between large sea animals and ships, the project is also an internet based tool for all ocean users, such as oil and gas companies, or windmill parks to take steps to reduce their noise output. The network has prompted concerns by governments over national security threats in regions where military operations are underway. To reduce that threat, the US and Canadian navies have struck a deal with the scientists that allows them to censor the sound of naval operations. But as the network spreads it seems inevitable that even the military will have to accept that the ocean’s acoustic environment does not belong to anyone.